What is CTP’s ABC Gasket program about? 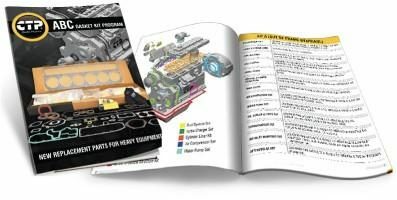 The ABC Gasket Kit program is designed to consolidate gasket kits and make it easier for the parts person to order and for the rebuilder himself to quickly identify and organize their seals and gaskets. At the same time, they can be assured that everything they need is included for each particular rebuild. Kits are packaged into sub kits (front set, rear set, lower set, etc.) inside the gasket kit box for easy identification. Why buy CTP’s ABC Gasket Kits? Everyone likes to keep things simple and organized. We can help you do that while offering you the reliablity and premium quality that comes with every CTP product. CTP has changed the way you order gaskets! At CTP we value our customers time. We have created a product that simplifies ordering and saves time for those customers /establishments who want to increase their sales while also decreasing costs and improving profit margins. Simplifying ordering has added advantages to your operation. This is especially true being a CTP customer, when you can control your costs and have the convenience of entering orders 24/7/365 without requiring any assistance. In the past when ordering gaskets, you needed to identify which sets and subsets were needed in order to complete a gasket set for an engine overhaul. For a typical engine overhaul, multiple individual OE kits or sub sets are required , these must be identified and ordered separately. Our ABC Gasket program eliminates the headache involved in ordering gaskets. Ordering gaskets is as simple as A, B, C! Our most popular and most complete gasket kit is the “A” set, this is an out-of-frame gasket set. This set includes all the gaskets required to assemble the complete engine. The second option is the “B” set, this is an in-frame overhaul set. This set includes all the required gaskets to overhaul an engine, while still in the equipment (in-frame). This set does not contain the rear or front structure gaskets; sections of the engine which are not disassembled during an in-frame overhaul. And lastly our “C” set, this is a cylinder head replacement gasket set. 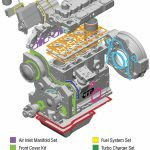 It contains all the gaskets and seals required to install a single cylinder head. 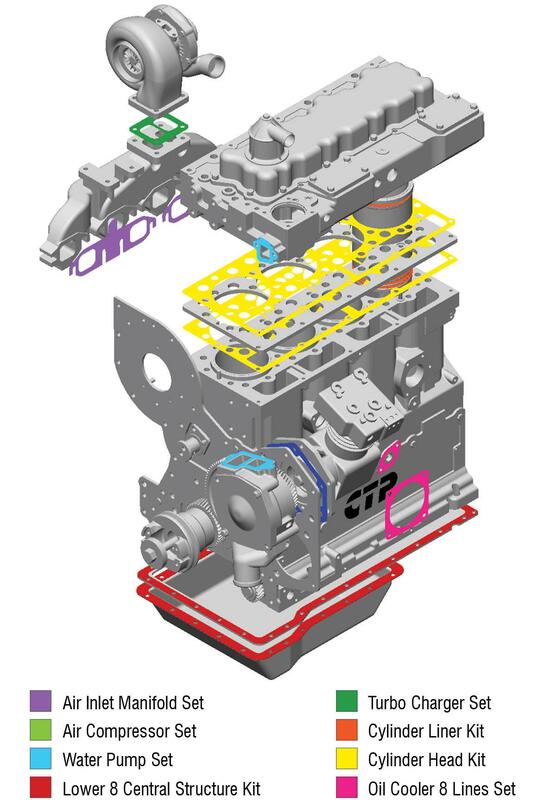 Some engines are designed with multiple cylinder heads, e.g. a 3412 uses two (3406) cylinder heads, this engine will require two gasket sets. By consolidating all the gaskets required in an engine overhaul, we have virtually eliminated any guess work and uncertainty when ordering gaskets. In fact, many of our existing customers have already seen the benefits of using our ABC gaskets simplified ordering system. We try to give you “the customer” and your customers the best experience they have been asking for in order for your business to thrive. You know that by helping you, and giving you as much information we hope to gain your loyalty and trust. You will be sure that the accuracy of your gasket kit orders and sales will both increase, while your costs decrease! 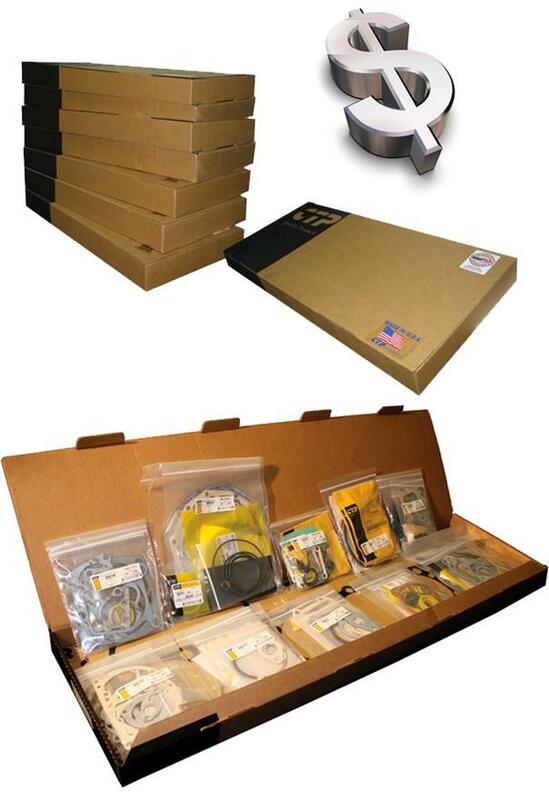 Are divided and labeled into sub-kits inside the gasket kit box for easy identification. With lower investment in inventory. Each special kit covers a wide range of serial numbers. All necessary seals and gaskets are included in a kit for a particular rebuild (inframe, out of frame or a head set). You won’t have to worry that anything is missing. 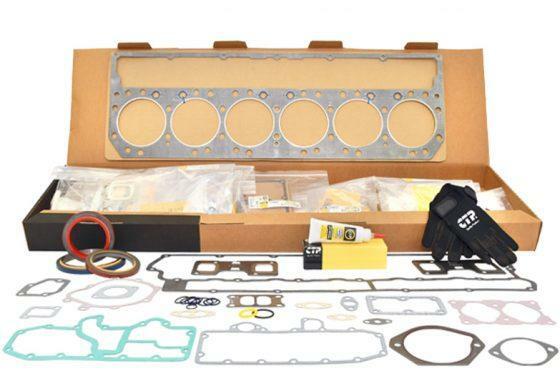 Set includes the gaskets needed to completely out-of-frame overhaul your engine. Set includes the gaskets needed to perform an in-frame overhaul to the engine in your equipment. 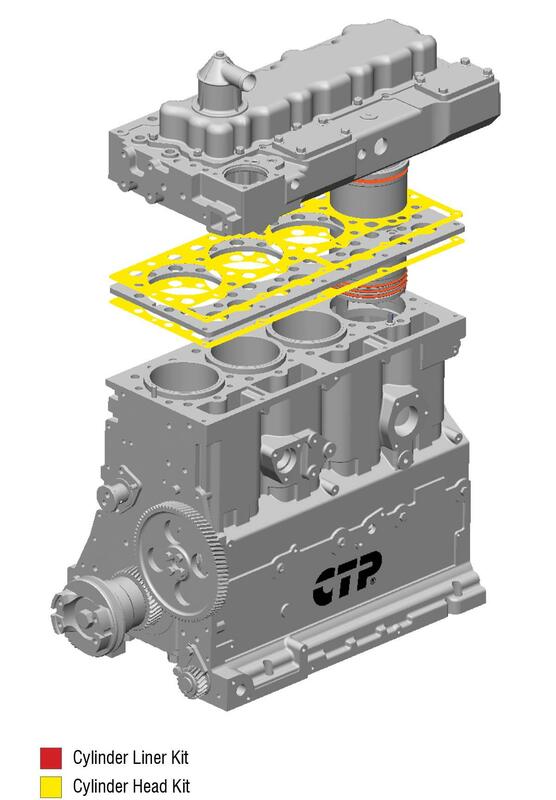 Set is designed to properly install all the cylinder heads on your engine. CTP + engine number + Consecutive Number + ABC (D or E suffix if available).